Has Ubud Bali changed since That Book and That Movie? It seems that Ubud, Bali has become even more globally recognized since the publication of Elizabeth Gilbert’s Eat, Pray, Love. I am pleased to say that we discovered it well before this having been there on a few previous occasions. I was wondering what changes may have occurred and whether it would still be that special place we discovered years ago. I will put the spoiler up front now – I still love Ubud. It has changed but not nearly enough for me not to still find it a fascinating place. 0.1 I will put the spoiler up front now – I still love Ubud. It has changed but not nearly enough for me not to still find it a fascinating place. 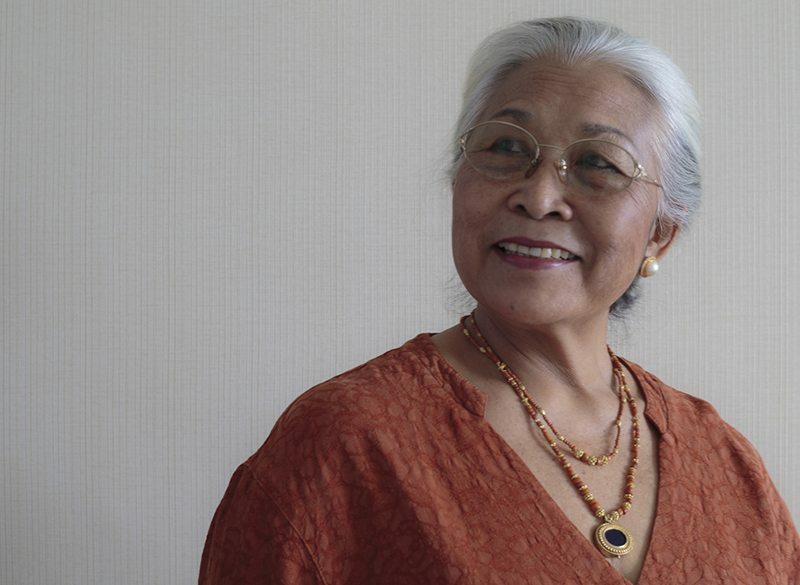 9.1 To the woman who snapped her fingers at the lady in the warung to remove a dirty plate – you are rude and I have not finished with you yet. You know who you are. I will also admit that I have not read the book, and I hadn’t seen the movie until after we left Ubud and thank goodness I hadn’t. The movie gave no real idea of the Ubud, or the Ubud that I have come to know well. Yet, it seems to have resonated with many people. Ubud is a very spiritual center of Bali, not just for the visitors who come here to find their inner whatever, but also for the local people. 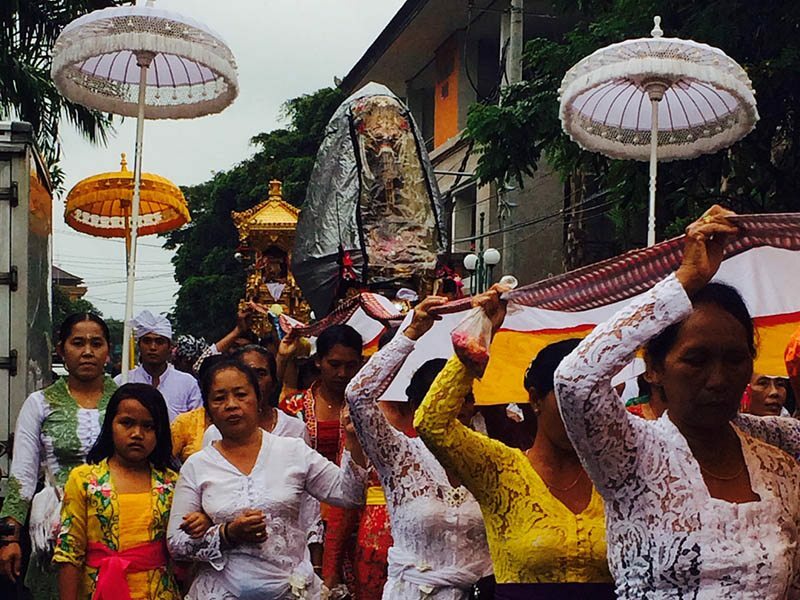 It is here where you see a lot more of the devotion of the Balinese people to their practice of their unique Hinduism. It is here that you see that the people and their religion are one and the same and that the family unit is all important. It is a definite place to go if you really want to understand more about the people of this island. A visit to the Sacred Monkey Forest is totally warranted as this is sacred for a reason. This is a jungle with some simply dreadful monkeys called Balinese macaques, who serve a purpose – to keep the demons at bay, and steal anything that they can. Yes, Ubud has become quite a touristy place but that is with good reason. 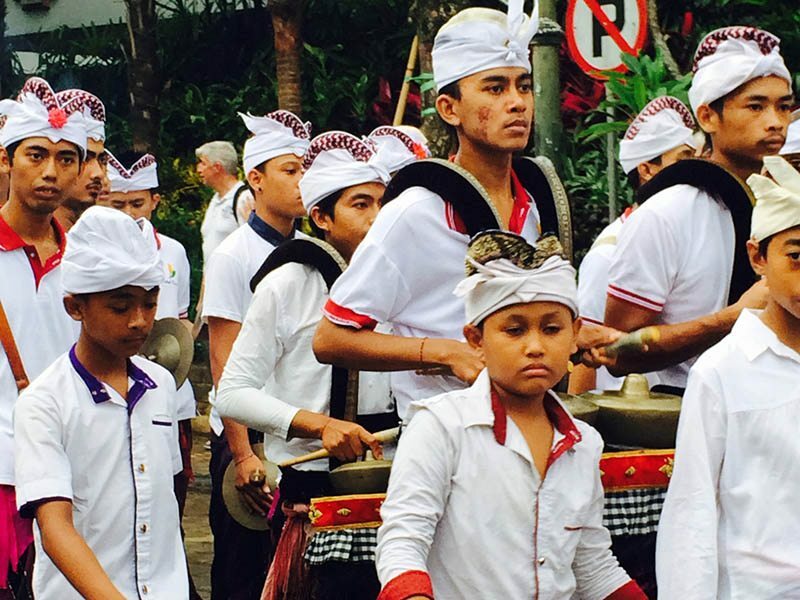 It is in Ubud that you are likely to see one of the many ceremonies associated with the Balinese religion. This can be a cleansing ceremony that we had the privilege to watch in a huge downpour; so mission was accomplished even for us who got right into it. Even a cremation, which is a sign of celebration for the Balinese, is a source of wonder and amazement to us as visitors. At any time of the day or night, you will hear drums or some other musical instrument as some other religious observance occurs. It is nice. Ubud is set in the mountains and is set amongst some of the lushest vegetation and is surrounded by verdant rice fields, hanging banyan trees and yellow striped bamboo. Physically, I for one, find it to be a beautiful parts of Bali – humidity and downpours aside. Ubud has a vibrant art and literary scene. This existed well before the ex-pats, and the festivals moved in because Ubud is an artistic center. Generations of families pass down their skills in the arts. There are dedicated villages to woodworking, to silver and gold work, to painting and even to exquisite kite making. The inherent artisticness of the Balinese people can be seen in everything. The house compounds are decorated, the temples are decorated, and the people dress in beautiful sarongs and lace blouses for ceremonies. The men dress in their Balinese clothes when they go to the temples at least once a day. There are decorated statues and gateways. The Royal Palace is in the main street, and you can see the traditional Legong dance at various venues. We asked one of the men in a woodworking village what happened if a child had no artistic ability. He told us simply that the child would become a master sander. There are traditional warungs serving very simple and excellent Balinese cuisines, right up to yuppy, vegan, and organic cafes and coffee shops. There is also Ubud’s signature dish, suckling pig, or Babi Guling, and one that the people of Ubud and Bali are very proud of it. It is a pig stuffed with a mix of spices like turmeric, coriander seeds, lemongrass, black pepper and garlic, and traditionally spit-roasted. Ubud is a spiritual place and mystical place. Ubud does attract visitors seeking anything and everything spiritually. I have never seen so many ramrod straight yoga backs in my life, nor more green juices but that’s ok. Ubud can cope with this. It is here that you can see a healer, even the one in the movie, but book way in advance because he is that popular. There is a tangible feeling of mysticism about Ubud. It is not hard to understand why is has become an epicenter for yoga and balancing your chakras and whatever else you can think of. I even had my tarot cards read and yes I will share this in a later post. Here in Ubud, you can see and join in any wellness or spiritual activity. There are many accommodation options in Ubud, with home stays on the rise, according to the ladies where we stayed. We chose a traditional Balinese place set in a compound that we found through Flip Key, and we will write about this as it was a great stay with local Balinese women taking very good care of us. Ubud has some bad points, of course. The streets have improved, but .. there are still open drains, and you can expect to walk up and down along the footpaths…up and down, up and down. The gutters are very high because when it rains, it really rains. And then the sun comes out, and the inevitable humidity becomes even denser. The traffic is heavy at certain times of the day but nothing that you won’t get used to. Worry more if you see a foreigner driving a motorbike, as they are not as adept at avoiding we pedestrians. Yes, everyone owns a taxi and everyone wants you to take you somewhere. It is a simple ‘no thank you’ and that is it. I saw some rude tourists who couldn’t even sum up the courtesy to say no thank you. It may be a bit irritating, but bad manners is a lot worse. You should hear how you sound and see what type of impression you give to others when you are rude ..or worse – arrogant. To the woman who snapped her fingers at the lady in the warung to remove a dirty plate – you are rude and I have not finished with you yet. You know who you are. The people of Ubud are nice. They love their city, their religion, their family and yes they even love you. If you say that you like Bali or Ubud, you will receive a heartfelt ‘Thank you’; they are so pleased that you like their home. They like to talk and will freely tell you about how they live and what they believe in. The women cook all of the food in the morning at 6am for the day; they worship and make offerings to their ancestors, the gods and to keep the demons pacified throughout the day. That is how it is, and this is their entire life. Religion. The school children are always immaculately dressed for school, and you hear them laughing and see them praying, playing and eating – so some things are just global. Has Ubud Bali changed since That Book and That Movie? No, I don’t think so. Yes, there are more of the busloads of people coming here, and I can understand why. Ubud is a place that needs to be on everyone’s agenda. It takes no time before you can be wandering by yourself through some lush rainforests to a village that few people go to…even to a cockfighting village as we did on a previous visit. The food is still amazing, the people are just as friendly, and really the amount of people ‘discovering themselves’ makes it even more interesting for people watching…and listening to some ladies describing themselves as goddesses as the play with their crystals and this all brings a new level to an already enticing place. Delighted to read your article and find out Ubud hasn’t changed that much over the years which is surprising with all that has gone on. I would love to revisit and enjoy the culture, its people, and all those beautiful places again. I love the culture of the Balinese. I think tourists who go to be tourists miss out on something very special. read!! I definitely liked every little bit of it and i also have you book marked to look at new stuff in your site. Thanks for this summary! I’m going to Bali for the first time in three weeks and I can’t wait to see everything for myseld! You will love it. Every area is so distinctly different. Ubud being my favourite. I’ve been wondering the same thing since I saw that film (which I didn’t like, btw). 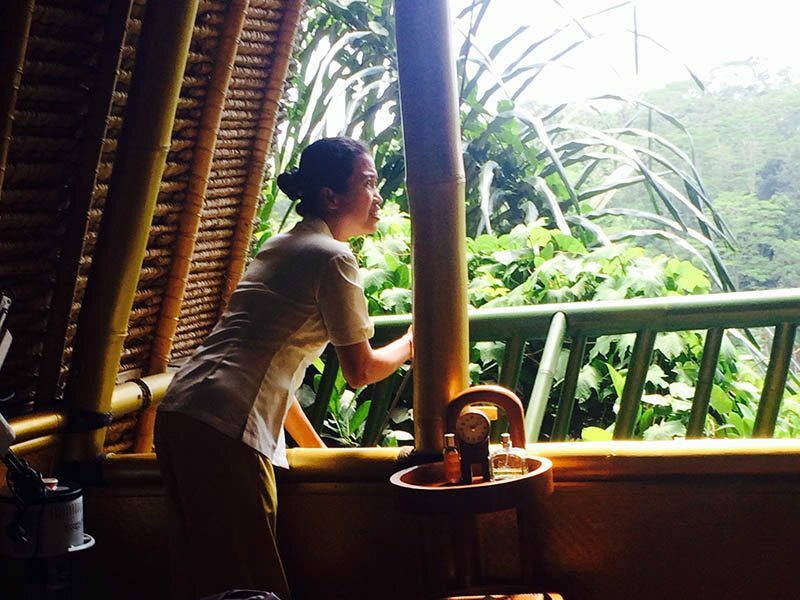 After reading this post, I think I’d still love Ubud. If a place is magical, no amount of tourists can spoil it! Agreed, nothing can change the people in my humble opinion, and therefore the place retains this magic. I have only been to Ubud after Eat Pray Love. I absolutely loved Ubud and if I return to Bali, I will most probably only spend my time there. It was such a quiet respite from the busier beach areas. Ubud is my favourite place too. I find that no matter how many tourists, the people remain the same because, I think, of their deep spirituality. Thanks for the wonderful overview of Ubud. Everyone seems to be in agreement with you about the kind people there and I’ve always wanted to visit this corner of Asia. Thanks Alison, and it is true, the Balinese people are lovely and kind. I have never read or seen the movie for Eat, Pray, Love and I am honestly glad that I haven’t because it enabled me to learn about Ubud simply from your great post. Never visited Bali but after reading this it has definitely risen on our bucket list of dream destinations worth exploring. Thanks Chris, I am pleased that you enjoyed this. I think Ubud is a special and mystical area, and exploring both within and outside of the town are definitely worth it. Beautiful sentiments about a beautiful place! Bali, and Ubud in particular, could have suffered greatly from the crush of tourists, so it’s refreshing to see that the people of Ubud have remained grounded and the wonderful inner peace remains. Sometimes it just takes getting away from the crowds to find it. Thanks Lisa and I totally agree. 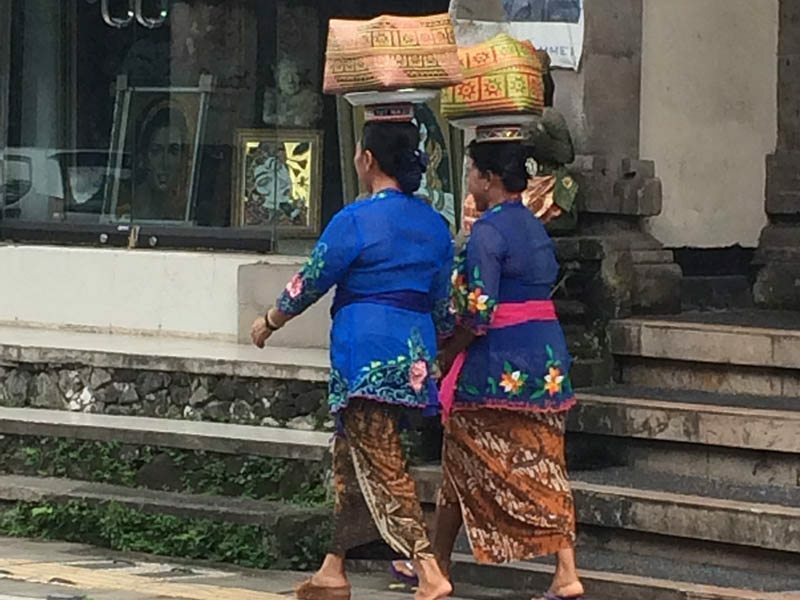 Much as the people are reliant on we tourists, nothing at all can ever shake their beliefs and that is seen particularly here in Ubud. That’s a way of life that’s very different from what we are used to in the west. I’m so glad that you found it not too much changed. You are so right. Even the concept of the family is totally different from the west. The family lives and stays together forever. Even if the 2nd son has to go away for work they always come back to the family compound. Retirement homes are not even part of their beliefs. Made me feel guilty in lots of ways. I do wish I had visited Bali ten years ago, as a I’ve heard it has been rather ravaged by tourism. It’s still on my wish this though and I’m so very glad to hear that you still think Ubud is worth visiting. It sounds so fascinating in so many ways. I love the qoute about becoming a master sander. That did make me smile and makes perfect sense. Thanks Kathyrn, I still think that Ubud is worth visiting, though some areas not so much. I loved what he said about master sander too. It does seem logical but it was funny. I have never headed this direction but it has to be on the list – the culture sells it to me the most, like you say – if you love Ubud and respect the locals then the experience is going to be very memorable! That is what it is all about, the culture and the people. This can be seen in so many things including food, ceremonies and in fact day to day life. I loved Ubud and the surrounding areas the best when visiting Bali, but that was over 10 years ago and I’m glad things have not gotten worse. I usually travel off season just to avoid the crowds and peak tourist times anyway. We were there in ‘monsoon’ season when it is much quieter and better for us, We also don’t like competing with crowds. We only had 2 afternoons of rain in a month, so I think that this is the best time to go. In saying that though, the beaches in Bali become filthy from the backwash from the other Indonesian islands. Erin, I also like Ubud the best because of the people. The food is amazing and it just has that good and very mystical feel to it. We will also return. Enjoy living there and we look forward to reading more of your adventures. Have yet to make it to Bali but hope to one day soon. Would love to discover more about the traditions and explore some of that super-lush countryside. Paul, as my friend – avoid the movie at the very least:) Bali has some of the loveliest people who have deeply held spiritual beliefs that is one and the same with their daily life. The countryside outside of Ubud, and literally just outside is some of the most verdant and interesting that you will see. What a great post, I love the concept and the way you have split Ubud into the various experiential categories. I was there back in 2000 and also loved it, but only went on a day trip. I love the Balinese culture, people, spirituality, food and artisan work. I would love to go back in the future. Thanks Jackie, I appreciate that. It is a place that needs a good week at the very least to get a feel for the place. It is special and it is worth the hype. Sounds like a wonderful place to visit. The people sound lovely. Thanks, and yes the Balinese are really lovely and gracious people. I read the book several years ago and remember being much more impressed with the fact that the author ate her way across Italy rather than found her spiritual center in Ubud! However, now that I’ve read your post and despite the fact that Ubud is a major tourist draw, the area sounds unbelievably beautiful and a place that I need to keep firmly fixed on my ‘must see” list! Tourism I guess brings money, and money buys western trappings that visiting from a western world we’d rather not see there! I visited Bali about 40 years ago, and when I returned a couple of years later I was already disappointed how a Barong dance we’d watched performed while we sat in the dust on the side of a street, was suddenly only being performed behind a bamboo screen for American $$$s! But as long as the atmosphere and essence of the people rises above our influences. it will retain a charm. Linda, everything changes but you have captured what hopefully can never change – the people, and I think that this is because they have such an embedded belief system. Thanks for letting me know, will try and fix that. I’m glad to hear that it hasn’t changed that much in a negative direction since “that book and that movie”. I happened to enjoy the movie, and it did make me want to visit Bali. 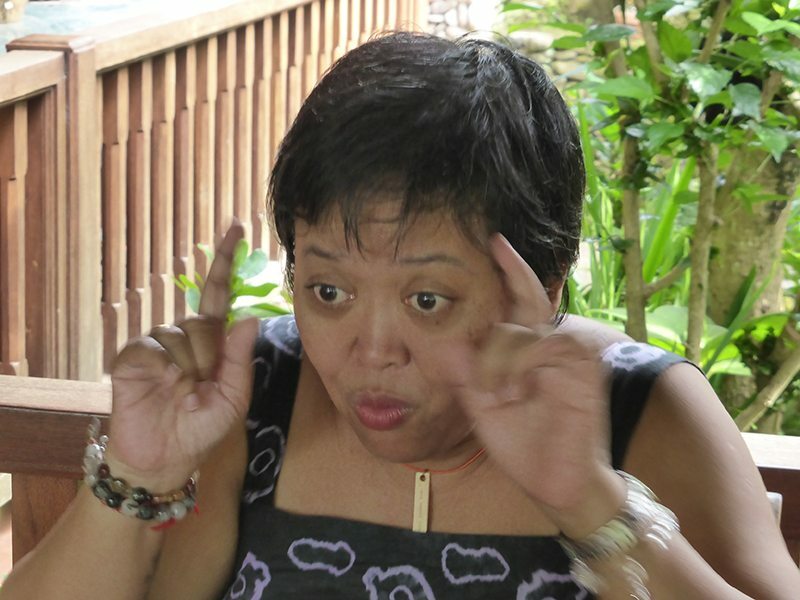 But honestly, what makes Bali different (as a tourist destination) from say, the Philippines or Thailand? They all look similar to my untrained eyes, but there seems to be more hype around Bali. We have been to both Bali and Thailand a number of times, and we do find a lot of differences in the people and their traditions. We like them both as countries and would recommend them both. LOL Betsy. After seeing the movie, I won’t be going near the book. Bali has some areas that shout bad tourism, and surpassingly it is not Kuta. Other areas like Ubud, despite the tourists retain their traditions. I’ve not been to Bali. Ubud sounds very inviting. I can understand how you must have felt before you went wondering if things had changed. My husband and I felt the same way when we returned to Nevis a few years ago after twenty-five years of not visiting. Some things had certainly change, but much of what made the island special remained, mostly in the nature of the people. You have summed this up perfectly ..it is what is in the nature of the people, that cannot be changed. I was there about 5 years ago and the locals were quite disgusted with the tourists (apparently organized tours of women) who had read the book and were coming over to find their own hot lovers! 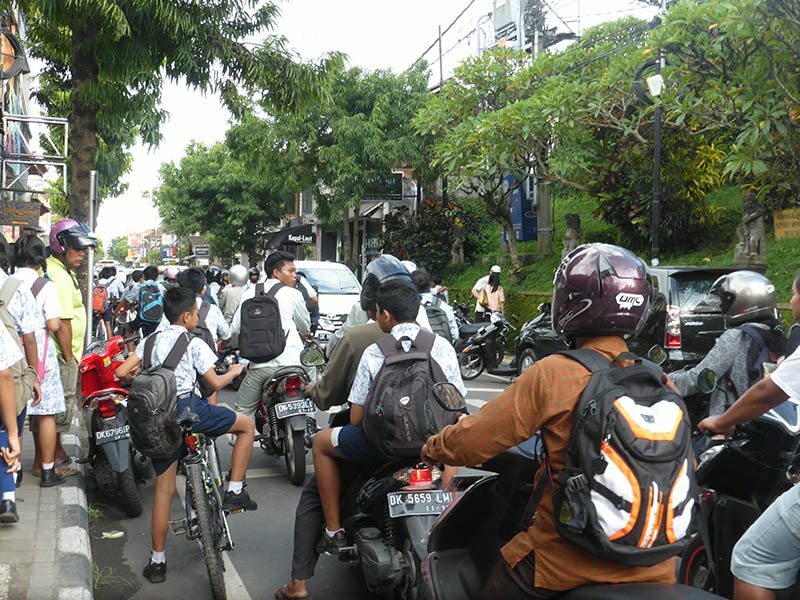 I thought Ubud was too crowded and polluted and that it was the ultimate tripping hazard to walk anywhere. We did stay at a lovely, peaceful oasis of a place and enjoyed the Sacred Monkey Forest and some other things. I’d like to go back to Bali but to places other than Ubud. I’d rather see more of the nature in Bali and hear less of the scooters. It was interesting to read your thoughts. Thanks Kay, I know what you are saying but we still found Ubud to be just as lovely. We were there in a very quiet time and this probably meant that we got to talk to locals a lot more and weren’t in the thick of the ‘find myself’ brigade. Have never been to Ubud except vicariously- loved the book, hated the movie. Amazing how a film or TV show can have a huge impact on a place in terms of visitors. I agree; I still cringe with the scene where Julia Roberts is “not” riding a bike through the rice fields. I feel amazed that based on how bad the movie was, that it has still bought so many people to discover themselves. Thanks for writing about Ubud. When tourism ramps up quickly, it can have upsides and downsides. So nice that you knew it before as well. I agree, so I felt that I was able to make a relatively impartial judgement. However, it would have had to take something massive for me not to still like it enormously. 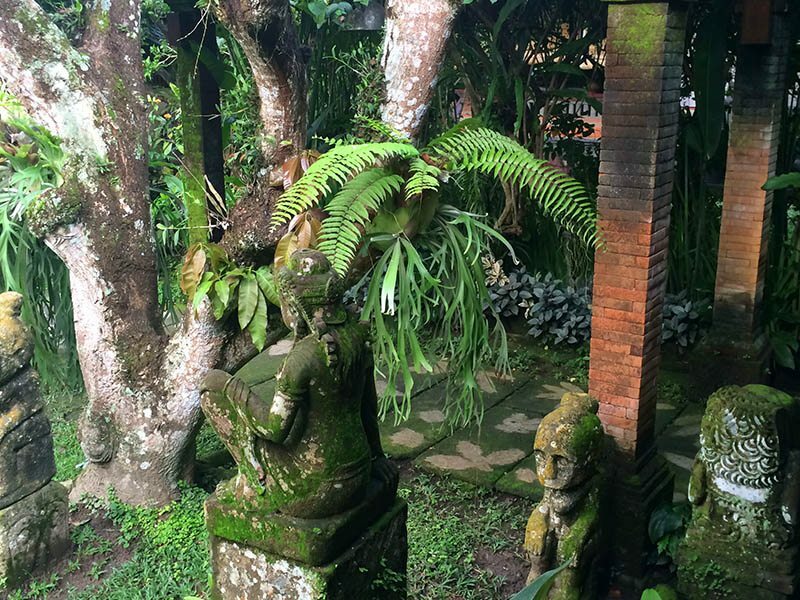 I visited Ubud in 1993 and spent a few weeks there – loved it! I do plan to visit again. I remember fondly the Balinese culture and the kindness of the people. Definitely go Susan, all of those qualities are still there. I have been to Bali once but for a convention and just confined myself to the hotel. I guess I missed a lot. Thanks for introducing Ubud to me, the place, the book, the movie. Now I just have to go back, maybe better, because now I have a partner to share it with! The lush vegetation of Bali looks so appealing to me, in the midst of Canadian our winter. I like your photos of the women in their beautiful traditional clothing. Thanks Shelley, it was funny because we went to Bali, then to the snow in Nozawa Onsen, Japan and then back to Bali for 3 weeks so we got the best of both worlds. The women and the men look so beautiful in their traditional clothing. I have wanted to visit Bali for many years and was a bit worried that it had changed too much to warrant the visit. That said, I also live in a popular tourist town and many people here complain about the changes and fall into the “But you should have seen it when…” trap. Yes, there have been changes, but it is still the beautiful, magical place I fell in love with 25 years ago. I suspect the same could be said of Ubud and I look forward to discovering it for myself. Thanks for this nice piece. Thanks Donna, I hostly think that any changes have not detracted from this very special place. I liked it so much when we first went 12 years ago and nothing has changed in my opinion. The people and the beauty cannot be ever changed. 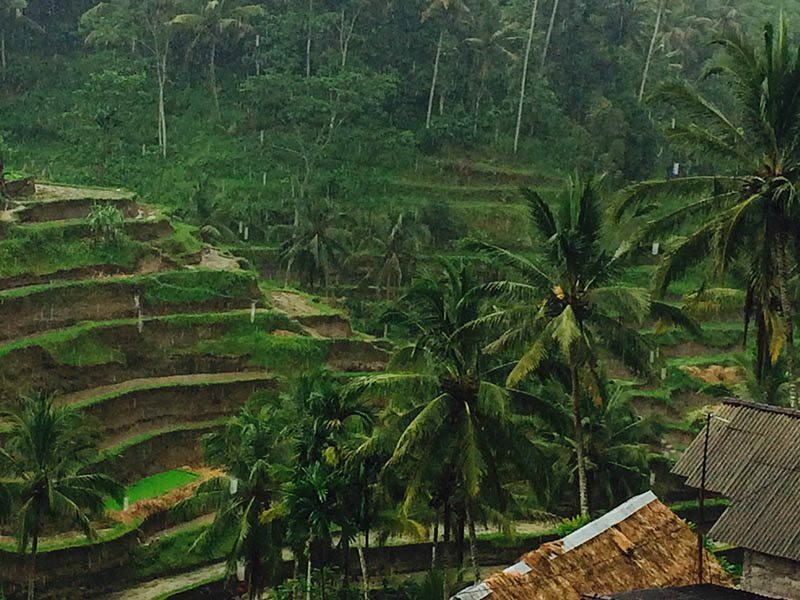 I went to Ubud because of the book, and I’m so glad I did. I absolutely fell in love with it. The country is beautiful and the people are probably the nicest I have ever met. This is such a great post about Bali. We are actually planning a honeymoon in Bali at one point, and it very refreshing to see that Ubud is not just commercialised as we think, it is still a lovely place to visit! Definitely go to Ubud. I more articles coming out about it. Congratulations and this would be a lovely start to your marriage. Ubud sounds like a place i’d love to visit, though I may struggle with the humidity. Loos like a fascinating place. Now I have a dilemma do I go to Ubud and then read the book or do I do it the other way around. I haven’t read the book but I saw the movie after. Terrible movie and did no justice to such a beautiful place. I haven’t been to Ubud but it sounds like a lovely place despite the changes that have occurred due to the popularity of the book and movie. I’d love to try the suckling pig – sounds delicious. 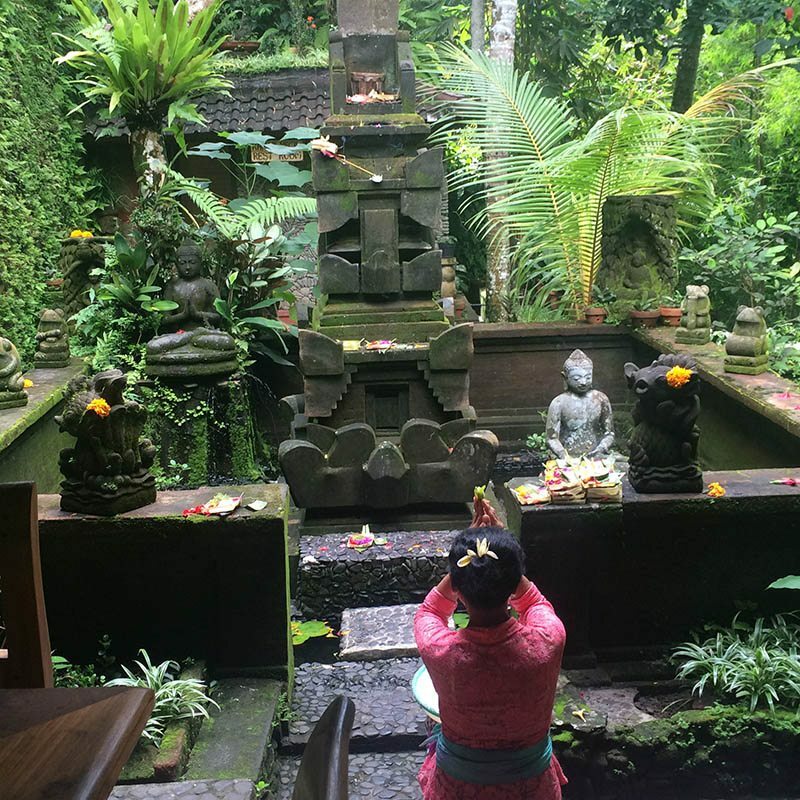 Thanks for this account of Ubud Paula – we haven’t yet traveled to Bali though we’re really hoping we can get there before it does change too much based on mass tourism. No doubt more and more travelers are hearing of how amazing it is, and I truly hope that this doesn’t spoil it because it does sound like an amazing destination. Toni you are totally correct. Globalization does change things, but luckily their beliefs are so deep that nothing can rock that. Great post. I’ve always been turned off by Bali, in part because of the popularity surge since “that” movie:). I think I should give it a second look! Mary, definitely do go. I was worried, I will admit but I was so happy to find that there are many real parts of Bali. Wihin 15 minutes of Ubud you can be back in the middle of traditional Bali and that is great. Smart article! Glad to hear the book brought attention to Ubud but didn’t change it! Thanks Breanna, I know more and more people are going there, but it cannot change what is in the people’s hearts and minds. Wow, Ubud has it all and looks extraordinarily beautiful. I hope to visit there one day. I’m glad to hear that the book and movie haven’t made too much of an impact. I have never been to Bali but can’t wait until I get the chance. I enjoyed your story and that you included so much about the culture and gave a balanced view of the place – so important. Sounds like a wonderful place to visit. I agree, sometimes tourists can be quite rude. It is so important when traveling to slow down, and savor every moment! Thanks Michele. I wish tourists would not take an ‘i am better than you’ attitude, it is offensive to the local people and embarrassing to see for others. The Balinese are so nice, they don’t deserve this. We left Ubud in November and have lived there for 3 months, over a period of years. Love it. So much to do and so much flavor. If you want options, head into town and you’ll have stuff to do. If you want to really chill, and to live amid beauty, head out to the rice fields, or head to jungle areas outside of town. We’ve lived both North and South of Ubud – about 15 minutes each way – and you have such a nice contrast of being in a peaceful, serene paradise for the night, and for some of the day, then you can head into town for food and other activities.